Home / First Lady / MAGAZINE COVER / Michelle Obama / Variety Magazine / MICHELLE OBAMA KEEPS MAKING HEADLINES, NOW ON THE COVER OF VARIETY MAGAZINE. 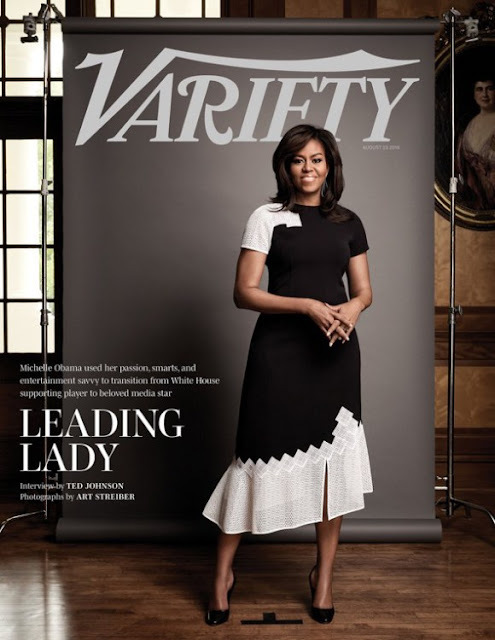 MICHELLE OBAMA KEEPS MAKING HEADLINES, NOW ON THE COVER OF VARIETY MAGAZINE. Pairing this Jonathan Simkhai dress with what we call black pumps, Michelle was interviewed na by Variety magazine akiongelea umuhimu wa elimu kwa wasichana na mengineyo mengi.